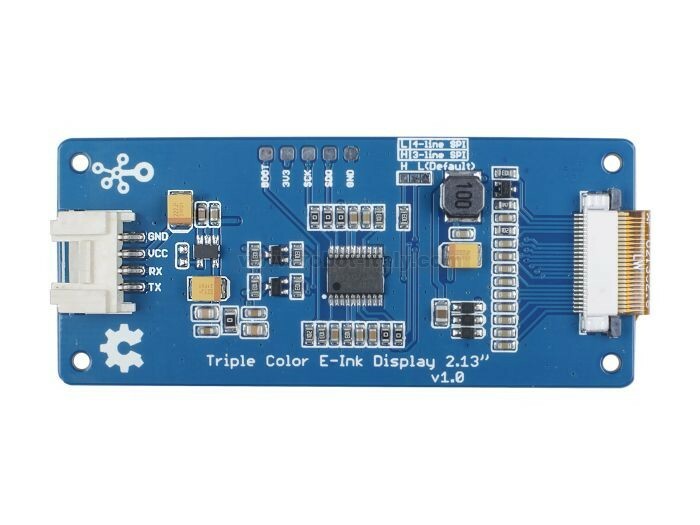 Display monocromatico OLED a matrice di punti 128x64 pixel. 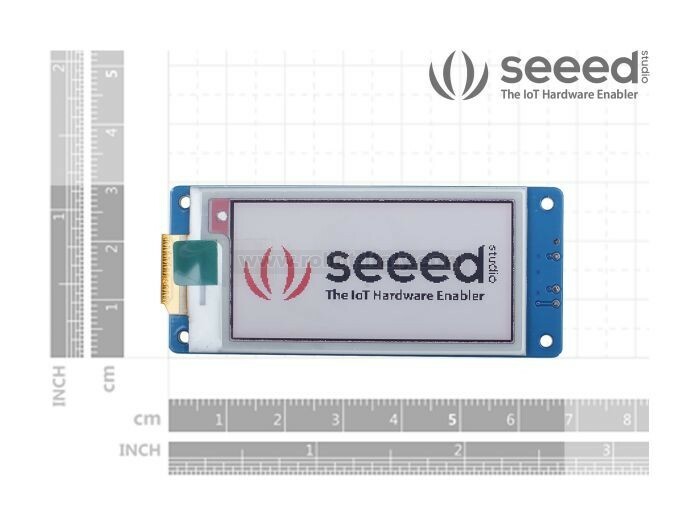 Fa parte del sistema modulare grove e viene collegato mediante il connettore a 4pin al quale fa capo l'interfaccia I2C. 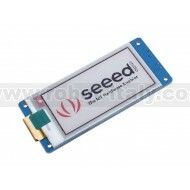 The Grove - Triple Color E-Ink Display 2.13'' is a screen that can still be displayed after power off, we call it E-Paper(electronic paper) or E-Ink. 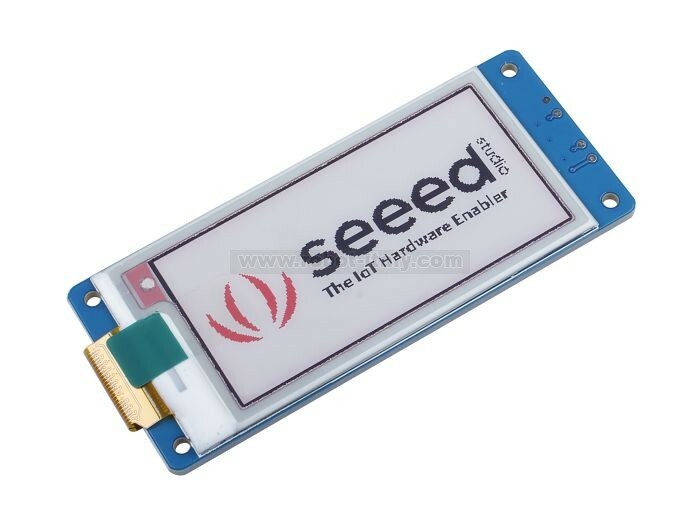 The display is a TFT active matrix electrophoretic display, with interface and a reference system design.The 2.13 inch active area contains 212x104 pixels, and has 1-bit white/black and 1-bit red full display capabilities. 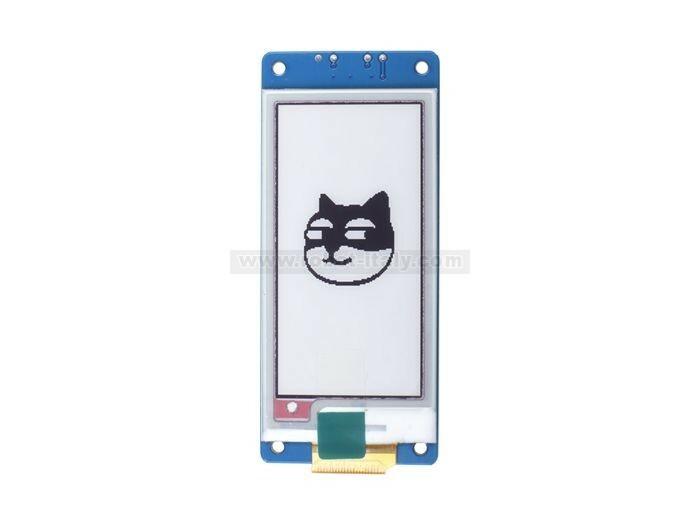 Frequent continuous refresh will cause irreparable damage to E-Ink. It is recommended that the refresh interval be greater than 180s.